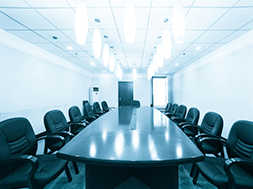 Our office building cleaning contract play a huge part in making your Facilities like Business, Schools, Government Offices, Banks are very important to keep up a clean environment which to work and welcome clients. When elevators, break rooms, entryways, and restrooms are dirty, the negative effect on employee morale is serious, and the effect on visitors is even more damaging. The health, safety, and enthusiasm of your workers and guests are all too important to entrust to an office cleaning company that cuts corners or lacks experience. Cleaning high-traffic areas that easily collect water/mud/leaves from outdoors, spills, and other debris. As the first impression that clients and guests get of your facility, your entryway, lobby, and waiting room areas need to look great all day long. Sanitizing restrooms. In addition to keeping all surfaces and equipment clean and safe, our teams refill paper products, soap, and other consumable items so that your restrooms are a source of pride to your company—not embarrassment. Cleaning break rooms, conference rooms, and offices. The areas in which your employees spend their work day need to be pleasant and completely clean all the time. We understand this need and include dusting, cobweb removal, and other detailed services in our office building cleaning. 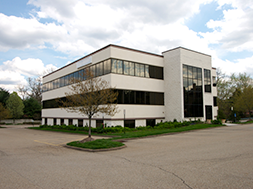 Other types of building maintenance, including trash removal, detailing, and glass cleaning. Office building cleaning should be far more than simply running a vacuum and taking out the trash. We use advanced sanitation products and tools, such as multi filtration vacuums, microfiber cloth, and ATP meters, to achieve office building cleaning that goes far beyond what meets the eye. Contact Us to find out more about how SouthJan can make your office building a safer, healthier work environment. Office buildings require more than a mop and broom. 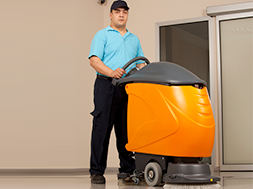 Our cleaning associates are well supervised and trained to handle the demands of commercial space. We utilize the most up to date cleaning solutions and equipment. Having the knowledge to use commercial grade equipment is a must in keeping buildings not only clean but safe. We focus on disinfecting high touch surfaces to minimize the transmission of germs and viruses. Employees who become sick and lose valuable work hours can be very costly to your company. 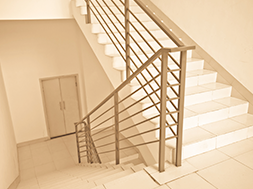 Hidden stairwells should be as clean and presentable as your highly visible common areas. Many janitorial companies neglect stairwells to save time and money. We don’t cut corners, we clean them.